Don't miss this highly rated, beautifully decorated villa offering all the comforts of home. Best of all, you can share your vacation experience with your four legged friend! That's right, a pet friendly Italian villa! There's even a small dog kennel provided for Fido. With an abundance of space, Brookside Getaway can easily accommodate average sized families. Plus, the villa has 10 foot ceilings which makes every room feel spacious and open. You'll find plenty of seating in the living area where everyone can enjoy the flat screen TV and fireplace. The 3 bedrooms combined with the sofa beds will comfortably sleep 8. During meal times, with the open kitchen design, you'll have no problem interacting with loved ones. The stylish decor adds just the right dose of personality to this high end villa. Hardwood cabinetry and tables, wall paintings, and bell shaped table lamps all compliment this villa perfectly. You'll even find a unique spiral staircase leading to a cozy upstairs loft bedroom. Along with a stylish interior, this location is hard to beat. The villa itself is situated in a quiet, upscale neighborhood surrounded by natural rock formations and tree lines. Usually a home that feels this isolated requires a long drive to reach town. Not so in this case. The Branson Airport is just minutes up the road. Fast food, grocery, convenience stores, and more can be found within minutes. And Downtown Branson and shopping at the Branson Landing are only 5 minutes away! Along with standard amenities, this villa features stainless appliances, a kitchen island, hardwood flooring, fireplace, satellite TV, WiFi, and a 2 car garage. 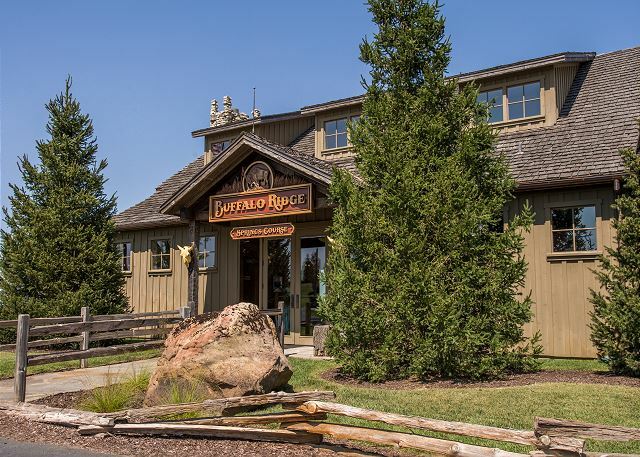 Also, as a guest of the prestigious resort of Branson Creek, you'll have access to resort amenities including hiking trails, a restaurant, and more! So glad we found such a great place and pet-friendly, too! Spotless, beautiful rental! We lacked nothing! Easy to drive to Branson. Roomy and comfortable. Highly recommend this rental! Amanda, we really appreciate this great review! Thank you so much. We are very happy to hear that you loved your stay so much, and we really hope you'll stay with us again on your next trip to Branson! Overall we were very pleased with everything. We do have a few comments for improvement. The metal wall hanging next to the dining room table was dangerously hanging in an uneven manner. If bumped it could easily fall and hurt someone.Disappointed that the DVD player was not located in the living room where people could enjoy a movie together.Remote for DVD needed batteries that worked.A toaster instead of toaster oven would have been MUCH better.Coffee maker was VERY slow.When we arrived there was an air filter left on the dining room table.We enjoyed the roominess and deck immensely! The place was very clean and there were plenty of towels and kitchen items. We would definitely rent again. Everything was fine. Enjoyed our stay. 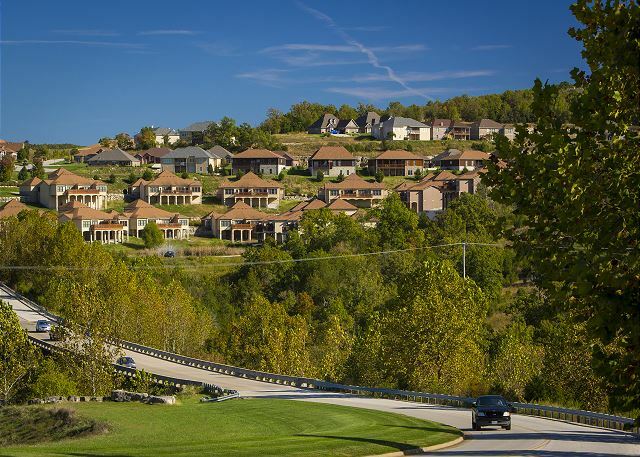 The location of the house from Branson is great, the surrounding area of trees, ponds, streams and hiking trails are wonderful. My family would have liked to use the balcony, noticed that on other reviews this is mentioned several times. House was clean, nice place to relax after a long day of fun. House was very clean and modern. Plenty of room for everyone to spread out and relax. So much better than a hotel. Only complaint is the one shower that had a high pitch squeal to it. This rental property was perfect for our family. The biggest bonus was being able to bring our dog. The beds were comfortable, the house was clean and the kitchen had all that we needed to make our meals. The only thing that would have made it better would have been a grill to use at the house. We stayed 2 nights at Brookside Getaway and had a great time. We were celebrating my parents' 50th wedding anniversary. Beautiful place, I would highly recommend it to anyone looking for a vacation home. Really would have liked to stay longer. Very relaxing, Would have been nicer to have had a bbq grill on location instead of located at the pool as most of our meals were planned around out door cooking. Also didnt find the sheets for the hide a beds untill the last day we were there. Went and bought some so we could use them. They were in the dresser in the queen size room if anyone needs to find them. Anyway loved our stay here and hope to stay again someday. Spacious, clean home with everything we needed! 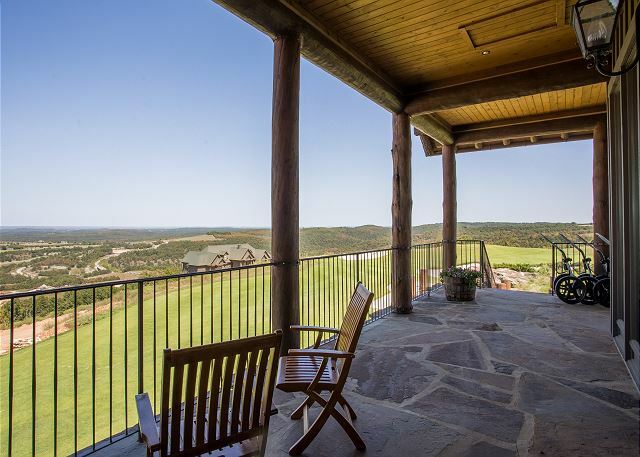 This home is minutes from Branson, but away from the noise and lights of the city. We enjoyed looking at the stars! We had a wonderful time staying at Brookside Getaway. 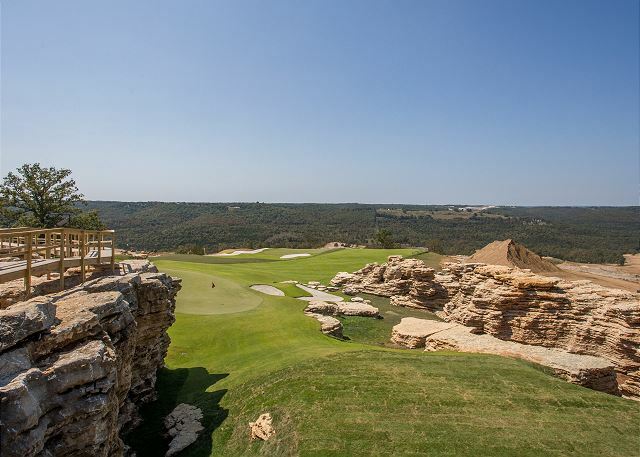 It is close to great golf, Branson Landing and hundreds if entertainment options. Easy-to-do rental. Just book and show-up. Clean and fully stocked. Everything in working order. Will do this again. Keep up the excellent quality. This is our second time in the last two months. Really enjoyed our stay. I wish the checkout time was later. 1000 am is to early. We bring our dog and we attend church on Sundays. We would stay till then, but can't get out of church and back for check out. Everything was great, home is large plenty of room But it was advertised as a 3 bedroom 21/2 bath. Yes there was 2 bedrooms with baths, what was a third bedroom was small twin beds for children at the top of the spiral stairs fine for kids but if you were 3 people over 75 climbing thr stairs was out also twinbeds were like sleeping on springs. No bathroom yp there so out of question for older people to get up and down steep stairs. There was a pull out sofa which we made do. The matress was thin so again like sleeping on springs and no bedding so had to use thr twin size covers. This is a great condo if you only need 2 bedrooms. about 10 minute drive to Branson. We did love having a 2 car garage especially as it rained non stop for thr 3 days we were there. We have stayed in this Villa multiple times, it is a very cozy nice quite place to stay, close to Branson without the noise and traffic. This year something happened to the hot water as we were getting ready for our night out, we called the after hours number and finally after 2 attempts they were able to call a plumber. The plumber finally arrived and eventually we had hot water, but we were not able to do what we had planned for that night due to issues we had and waiting on the plumber. Things like this happen and we understand that, just tough when it puts a kink in your plans. I did call the following Monday to make sure Sunset was aware this happened and hopeful someone followed up to make sure it was fixed. Was a wonderful home. We felt so at home during our stay. We would rent this house again. It could use a toaster. That was our only complaint. This vacation rental was great. The only down side would be the 2 twin beds upstairs. Not ideal for 2 toddlers. But otherwise this rental was perfect for our family of 6. The villa was very clean & comfortable. In a very scenic neighborhood. Only complaint was there wasn't enough soap & toilet paper there for our stay & we had to go out & buy more. came for my niece's wedding.this is the third time,i've stayed in three different units through sunset and I cant think of one negative thing to say. I stayed at a large home, a condo, and now the town home, the properties were clean and well maintained, they lacked nothing including the views.I would definitely recommend sunset properties to all. It was great! The house was clean and very pretty. Overall, the stay was good. What we were looking for was pet friendly. There were a few minor things that because of personal preference, were disappointing. For example, there were ten pillows on a bed but not one of them usable. I ended up going to town to buy some so we could sleep. The hot water heater was set very low. One person could take a quick shower. Everyone else would need to wait for the heater to catch up. Everything else about the house was great. Nice kitchen. Open, so the cook didn't feel segregated from the rest of the group. Plenty of room for everyone. The trail system north of the property was a nice place to hike. I would stay here again. rental unit was fresh and clean. Enjoyed renting the same unit knowing what was in the unit and it is in great condition. We've stayed in this location for the last several years and it's perfect for us. It's always up to date and spotless It's literally one minute from Branson Creek (Buffalo Ridge) golf course and only 5-10 to downtown and most other areas of Branson. The management and staff of Sunset Nightly Rentals are always very responsive to our needs. We'll be back again. Thank you for your review, Jeff. We're so glad that you enjoy this great location and come back to see us year after year. Let us know if there's anything else we can do next time you're here! Check-in and check-out was easy, the stay was marvelous, the location was convenient, and the amenities were fabulous! Branson Creek is a gem, and dealing with the rental management company was a pleasure. 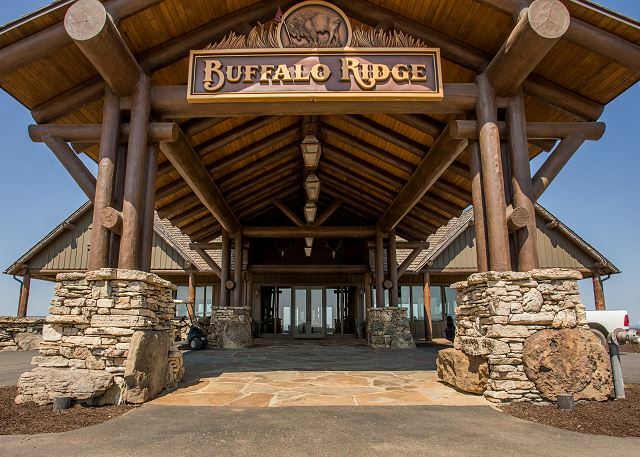 Look no further for your high end stay in the Branson area! The condition of the property was very god. Everything was turnkey when we got there. Very nice neighbors. Pool was in clean condition. The advertising said use grill at pool no grill provided at the rental. We looked at the grill at the pool and there was no tank attached. It was also extremely filthy. Other people told us that they can't remember the last time it worked. We had to get a charcoal grill to use. The villa was an awesome place for all of us to get together and celebrate the upcoming marriage of our best friend! Our stay in the Branson Area could not have gone better. The Villa we rented for our trip from Brookside Getaway, was outstanding.We had a party of eight, and it very comfortable and everyone enjoyed our stay. The Villa was in mint condition, the A/C was cold, the Kitchen was very nice, the Bedrooms were excellent. 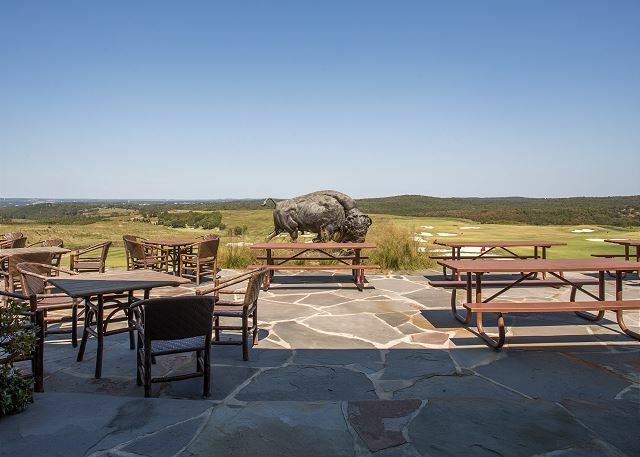 Loved the outside deck and the view.It was less that :10 minutes to the main drag in Branson. The Villa was quite, the garage was extra large.I would guess that this is one of the very nicest places to stay in the Branson area.Loved it! Hollister rental.. very near Branson!! Very conveniant to Branson. Clean and met our needs. Nice that they had a 2 car garage. Pool in the area was small. But they are renovating a much larger pool near the golf course. So 2015 It will be ready. We were very pleasantly surprised at the beautiful Brookside Getaway villa! It was beautifully decorated, clean, very quiet and had everything we needed. We definitely will stay again. It also is in a great location. Just zip over on Hwy. 65 and you can exit to anywhere you want to go in Branson. overall a great property, clean and close to all attractions. I enjoyed my stay at Branson and enjoyed my stay at the Villa. I would recommend T.v.S in every room, and to put a safety lock on the balcony door for little kids who can open the door. The property was nice, clean, safe, and quiet. Thank you for your review, Kalynthia. We are glad you enjoyed your stay and we will pass your suggestions along to the owner of the villa. 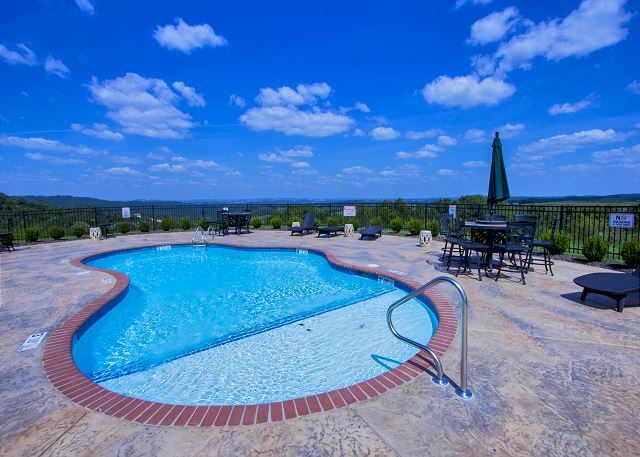 This condo property was extremely quiet yet so close to all that Branson offers. The garage was a nice extra and my son loved the upstairs bedroom. We will definetly be staying here again! We're glad you and your family enjoyed your vacation at Branson Creek. We hope to see you back soon! Great to see you back, Christopher. We're glad you were pleased with your accommodations and we hope to see you back soon! Easy to get too and find our way around. Place was ready for out arrival and clean. Enjoyed having two garages for parking. Thank you for your review, Carolyn. We are glad that you enjoyed your stay. The only complaint is that we had problems with the wifi working. We have replaced the modem/router in this unit so the wi-fi is up and running. Very clean & comfortable rental. The only thing I would really add to the rental is the Golf Channel on the Dish TV. Due to location of rental, I would think a lot of the renters would be golfers. Other than that, great stay. Thank you for letting us know about the coffee pot, we will correct the issue. Stayed there with my husband, 3 children, and my parents. Its a newer property, beautifully decorated and full of amenities. Its not far from all the sights. Very clean and safe area. We loved it!! !